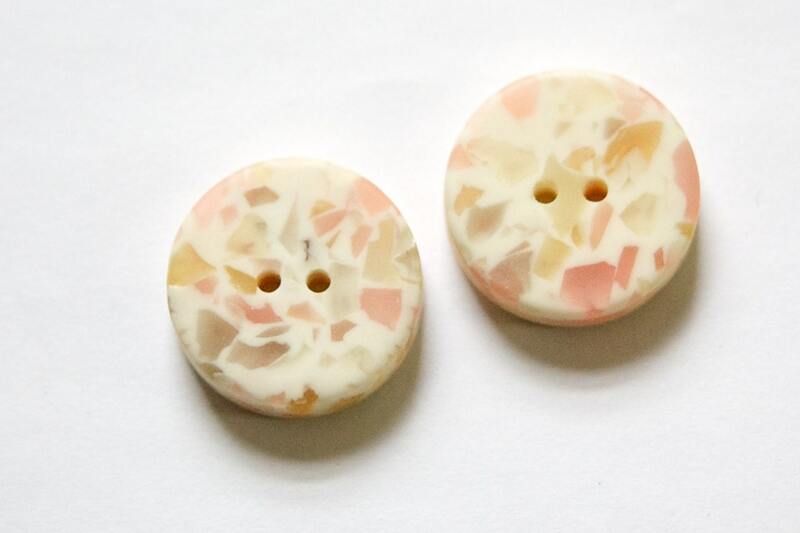 Color: Cream base with peachy inclusions. Some inclusions are clear to a grayish color. Quantity: 2 buttons per package. 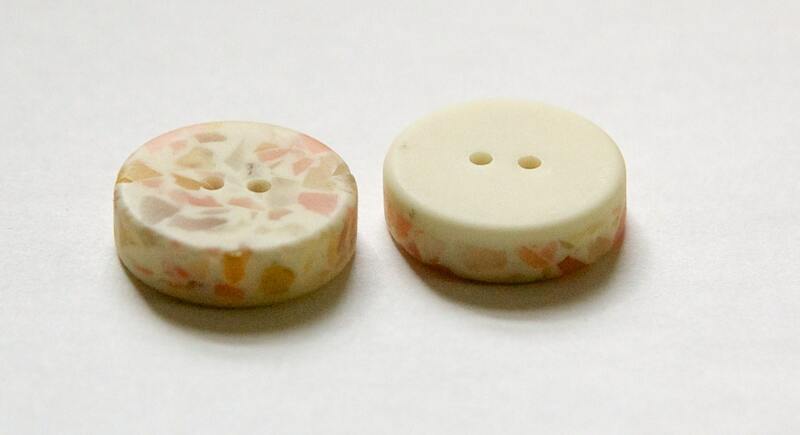 Will be great for making earrings. I really like this. Thanks for offering them.